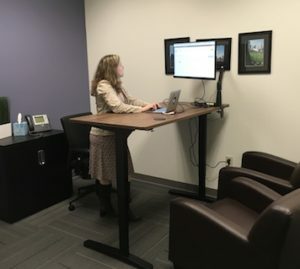 Standing desks have been added that can raise or lower with the push of a button. 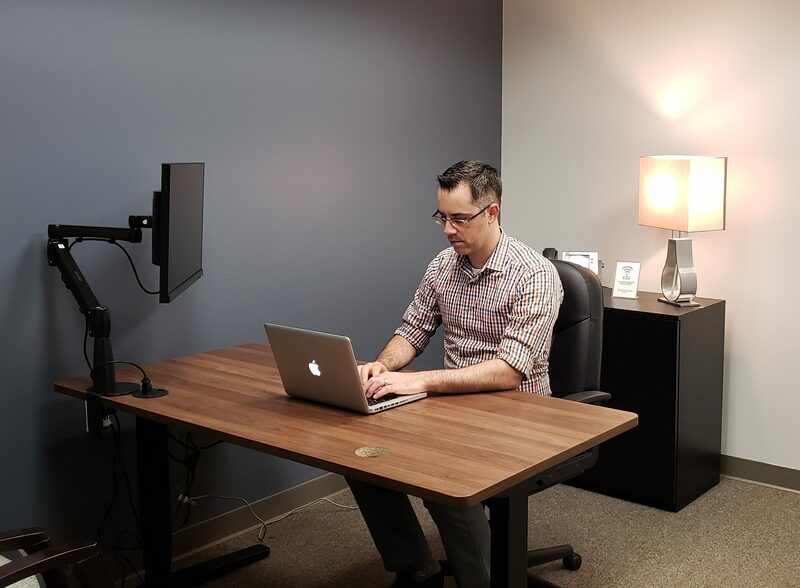 The desktop includes a grommet with a power outlet thus removing the need to get on the floor and mess with power strips and tangled cords. 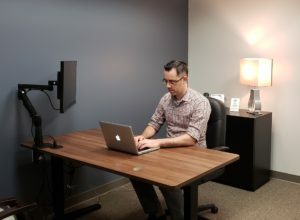 A swivel monitor is attached to the desk that can be used as a second screen for individual work or as a display for group settings. Additionally, we have added a storage cabinet with plenty of space to stow a purse or laptop bag while meeting with a client. If you have an opportunity to try out the new design, please share your thoughts with our staff. Your feedback is always appreciated.